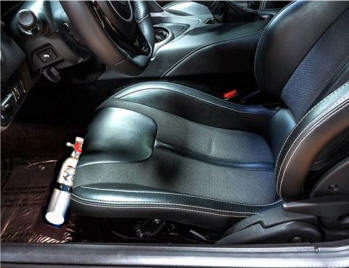 To Order: Our Dodge Viper accessories may be ordered either with or without a PayPal account. Simply add the Viper items you desire to your cart, and upon checkout you can either sign-in to pay through your PayPal account, or you may simply pay by credit card without having an account. IMPORTANT Shipping Information: TheViperStore.com Ships its Dodge Viper parts and accessories to North America, Europe and more. For Alaska, Hawaii, U.S. territories, Canada and Europe - You may check out using US Mainland Shipping Rates. Once we receive your order we will then invoice you for the extra shipping. We always try to consolidate overseas orders to save you the most money possible. To know what the shipping would be before you order - Please call or email us for amount of extra postage. State Sales Tax: By Law a 7% State Sales Tax is added to any part being delivered to the State of Florida. Return Policy: Please see Customer Service. ORDER by FAX: List the items you want with prices and Postage and Handling. Provide your address, email, phone number, and credit card number, name on the card and expiration date. Simply fax us (to print a copy of our Fax Order Form Click here) Fax to: 1-352-688-8153 we will process your order and provide you with a confirmation and receipt. ORDER by PHONE: You may order over the phone by Calling 1-352-688-8160 Monday to Friday between 10:00am and 5:00pm EST. ORDER by email: You may order by email. Simply list the items you want by emailing us at: admin@TheViperStore.com Be sure to list the part number with each item you want. 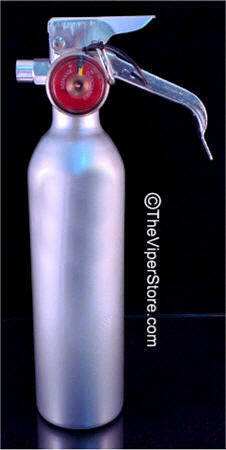 Universal Automotive Fire Extinguisher 'Anodized Metallic Silver' with Viper Black Logo chrome sticker included. Includes mounting bracket ready to install. Designed to put out auto fires. Approximate size is 10" high and 2.5" in diameter. Size may vary. We welcome our many Overseas Customers! IH-FEB-VIPER-0310 DODGE Viper (2013-2017) Adjustable Interior Fire Extinguisher Mount. Mounts to seat legs and is adjustable. Final position is at seat front on floor behind your legs. Easy access and not in the way. All metal construction powder coated black. Simple installation. There are no special tools required No modification needed. 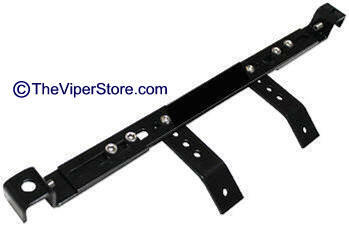 Kit mounts to, the front seat rails existing mounting holes and uses the stock seat bolts. Installs in less than 10 min.